The formally laid-out premises of an erstwhile military barracks (Kromhoutkazerne, 1912) now do duty as part of a campus of educational buildings, facilities and accommodation for an honours programme for talented Dutch and international students. The educational side is housed in the distinctive barracks buildings. New student flats line two sides of the grounds. Koen van Velsen’s elongated project on the west side doubles as a noise barrier. 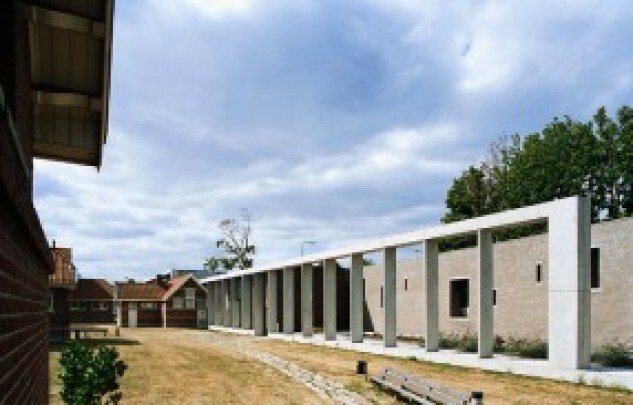 The one by Sluijmer & Van Leeuwen in the east follows the drive-way into the campus. The campus ambience is further enhanced by the layout around the former parade ground, which is connected to the buildings by flagstone paths across the lawns.